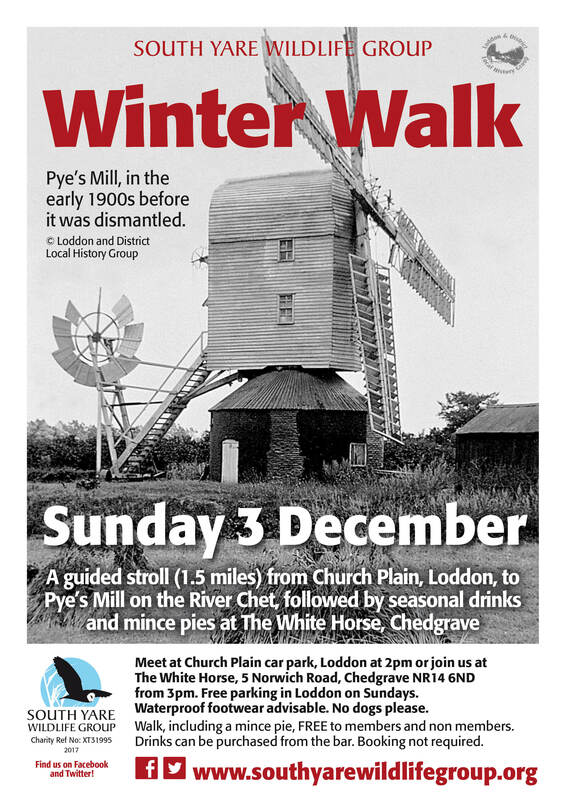 Meet at Church Plain car park, Loddon at 2pm or join us at The White Horse, 5 Norwich Road, Chedgrave NR14 6ND from 3pm. Free parking in Loddon on Sundays. Waterproof footwear advisable. No dogs please.